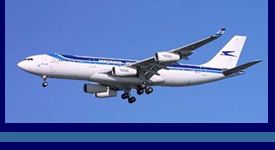 Note: Domestic flights with Aerolineas AR accept only 15 Kilograms. per person. After you will pay u$d 1.- extra per Kg. Making your reservation with Ricardo DeFranco is easy!